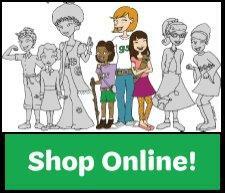 Girl Scout Independents (including girls waiting for a troop) are invited to participate in our Fall Product Program! Girls can embark on this unique entrepreneurial experience in just a few short steps. Through Girl Scout product programs, girls of all ages build self-confidence and develop valuable skills—such as goal setting, money management, and business ethics—while earning badges, patches, and prizes along the way. Girl Scout Independents (and girls waiting for their troop to form) will also earn Juliette Dollars which can be used to fund their Girl Scout activities. Once registered, Parents and Girls will be invited to attend a family meeting to learn more about the Fall Product Program and receive program materials. For a preview of our Fall Product Program, visit www.GSCookiesEtc.org/fallproduct.